As technology increases to make our lives easier, so does the desire of the police and surveillance state to spy on us. This cleaning device not only collects dust, it also collects your personal information. According to experts, the vacuum cleaner is embedded with advanced mapping technology. This allows it to learn and collect data on the floor plans of consumers’ homes, which is then sold or shared with companies such as Apple, Google, and Amazon. 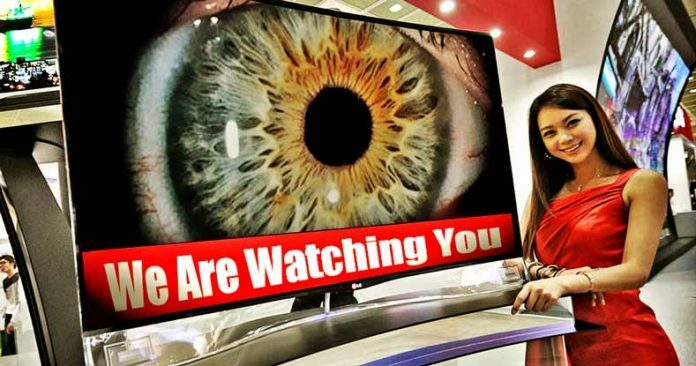 While smart TVs allow you to connect to the Internet directly, they can also be used to collect your data. For example, a new technology called TVision Insights allows companies to monitor TV watchers’ viewing habits. This means that they can literally watch you as you watch TV. They even record data on where your eyes are looking, when you’re distracted, and what emotions you’re conveying. Vizio TVs was fined $2.2 million for collecting and selling footage from millions of its TVs users without their knowledge. When Vizion was fined, it had already had sold 11 million smart TVs. When it comes to spying, the least said about Google, the better. The Internet search engine is secretly recording everything you do; it records your voice, texts and videos you send. You could literally read all of the texts you sent years ago, and even listen to the conversations you’ve had. The company also tracks every move you make on a daily basis. The image messaging and multimedia mobile application has location settings that allow you to share your location with friends at all times. Your “Snap Map”, if enabled at all times, allows all of your Snapchat friends to see where exactly you are located, even if that means your precise home address. The application is advanced that it can even tell when you’re driving in a car or in an airplane. This smartphone game specifically tells users that they are sharing their locations, storage, photos, and cameras with the company and that they reserve the right to collect and share that data with third parties, including potential buyers and the government. If iOS users log in through their Google account, they automatically share their information with the creators of Pokémon Go, essentially handing over pretty much all information related to their Google account, including their Gmail, Google Drive, Google Maps, and more. The gaming console records and monitors all of your activity while using it. Playstation 4 uses voice commands, which means the device is listening to you even when you’re not using your headset to speak to other players. Further, it can collect data and generate information on your personal preferences.